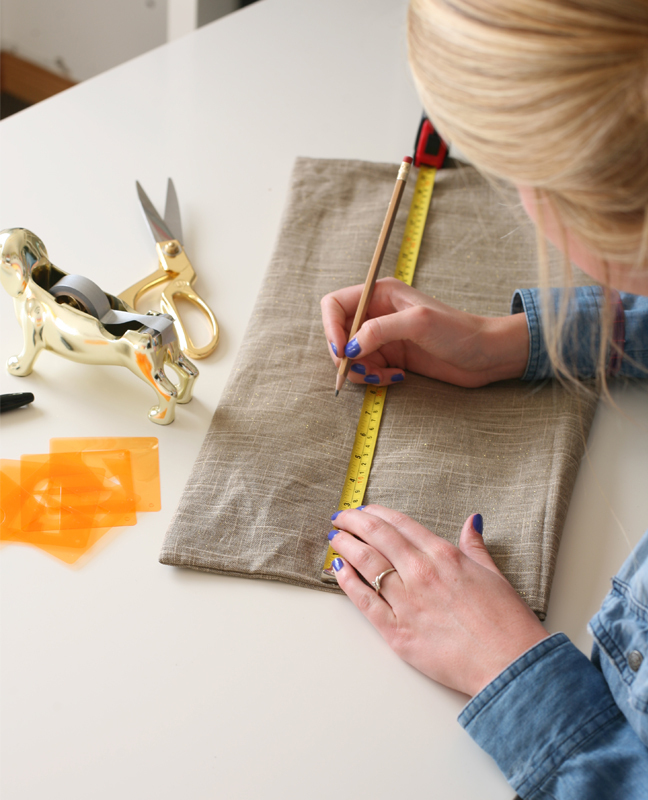 This DIY tutorial will give you step-by-step instructions to making the most adorable (and custom!) quote pillows around. 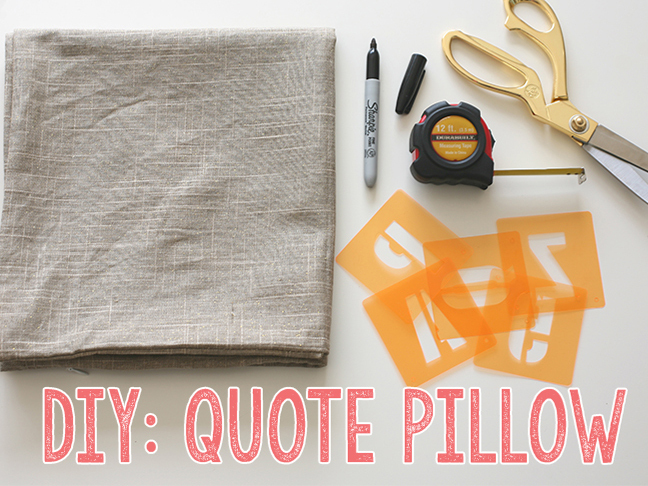 Choose a quote of your liking and stencil it on any type of plain pillow cover. 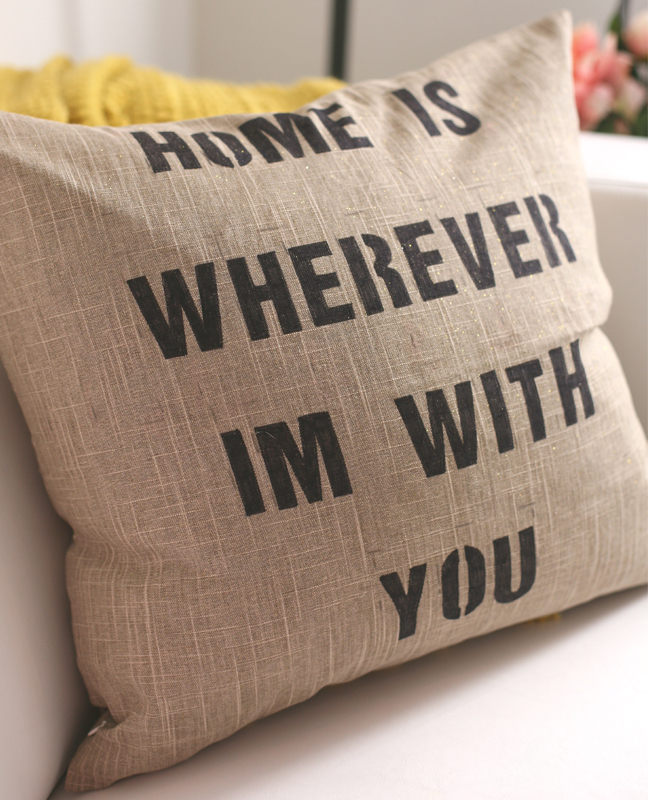 I chose the saying, “Home Is Wherever I’m with You” to put on a burlap pillow case. 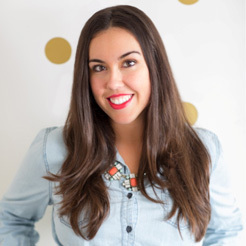 By using a pillow filling that I already owned, I cut my costs to a minimum, which I know you can too! Step 1: Line up the words how you want them to fit on the pillow. Place the letters of each word a 1/4 inch apart. 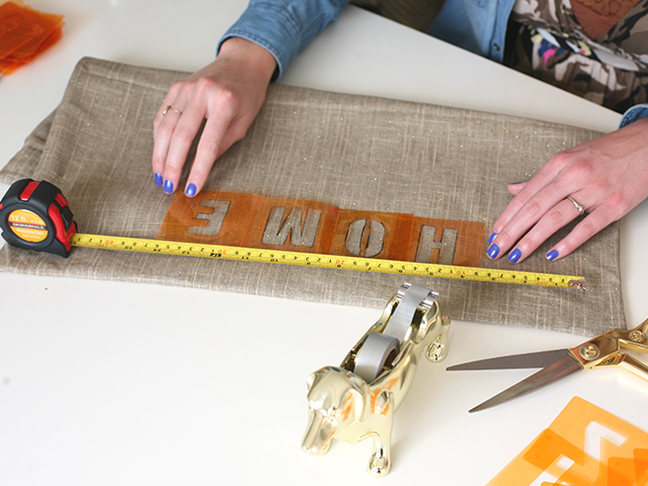 By measuring the length of the word and the width of the pillow case, you can align the word in the center of the pillow case and tape down the stencils. 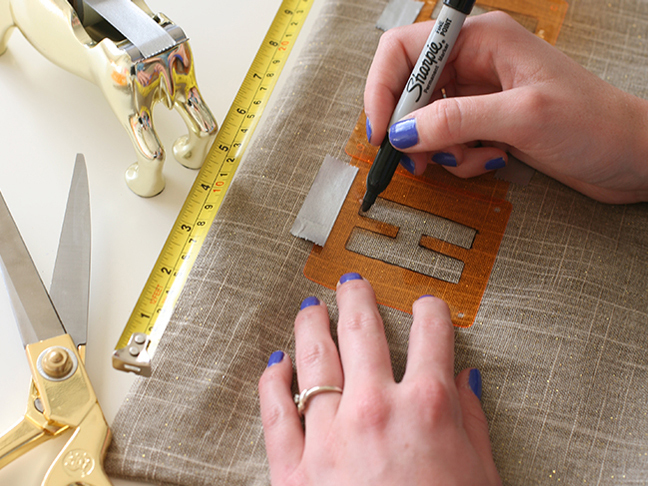 You will want to measure your rows across the height of the pillow case as well so they are evenly spaced, and mark with pencil where the stencils should go. 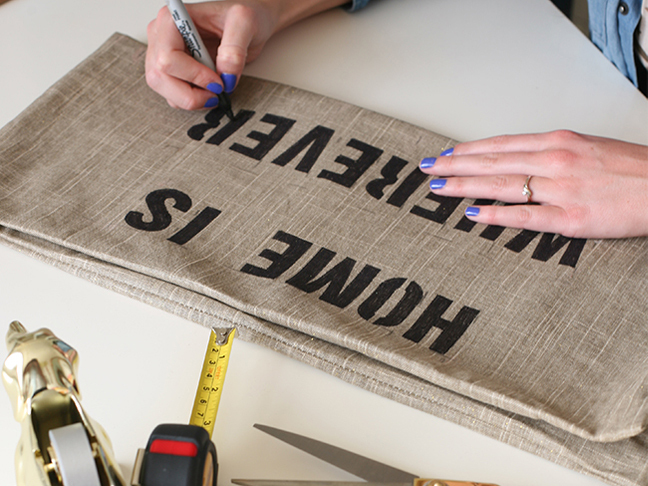 Step 2: Fill in the stencils with a Sharpie marker. Step 3: Erase any visible pencil marks. 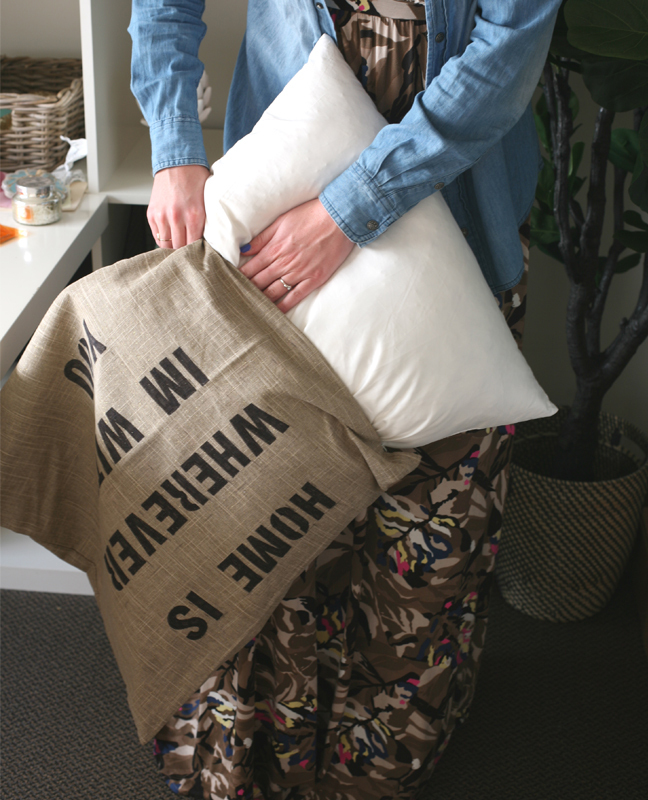 Step 4: Stuff your pillow and plop it on your favorite chair! 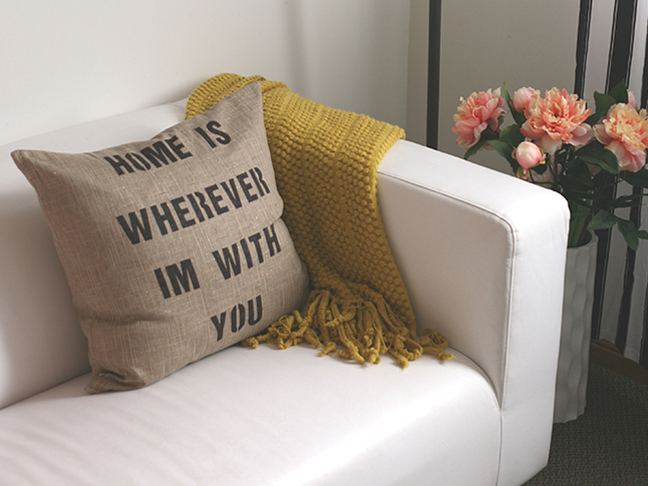 By changing up the quote (or even using a stenciled design) you can create this pillow over and over again for different spaces in your home or office!